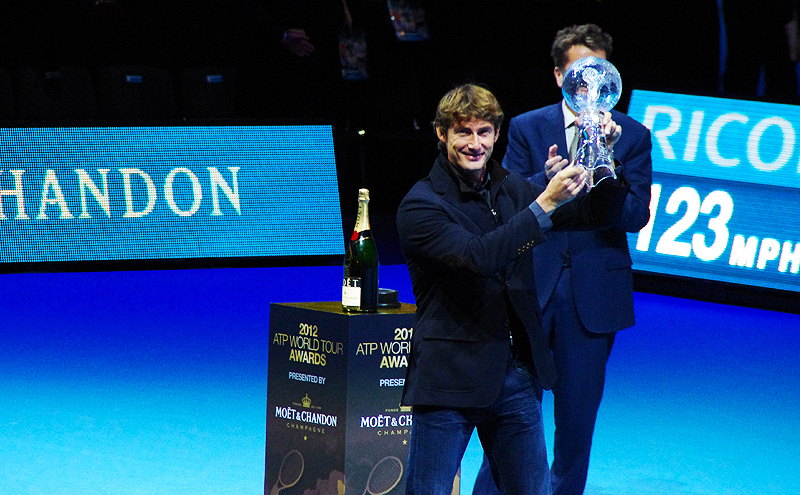 I actually don’t have a lot to write about London – which is why I’m posting this first! 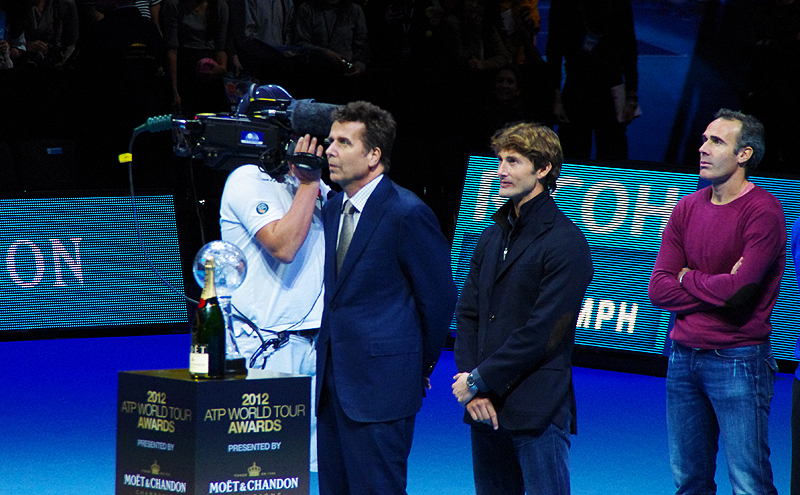 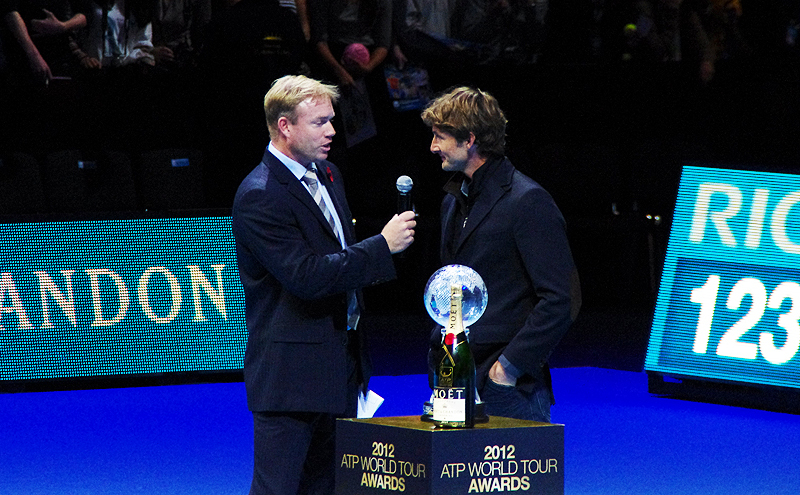 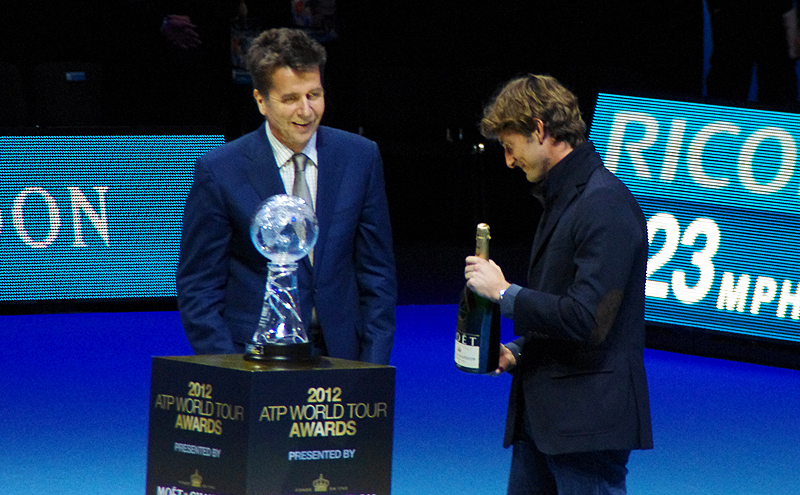 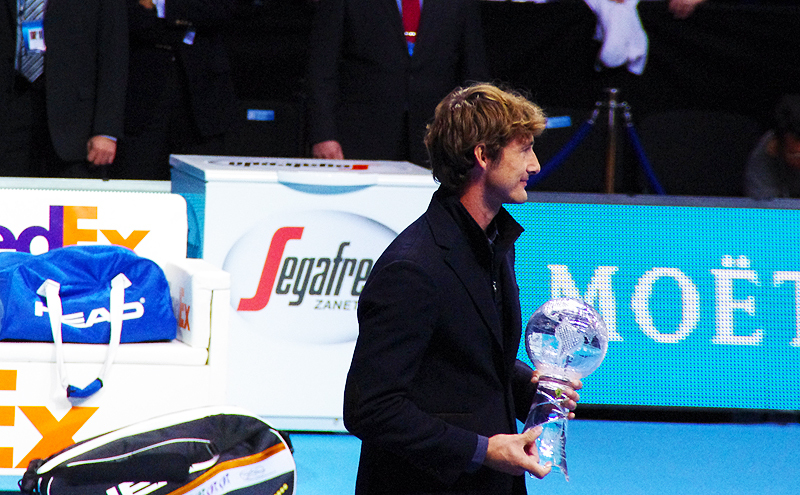 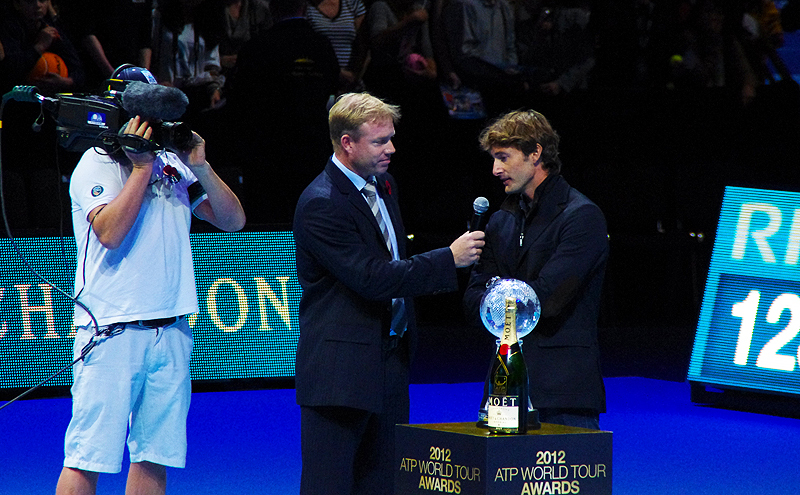 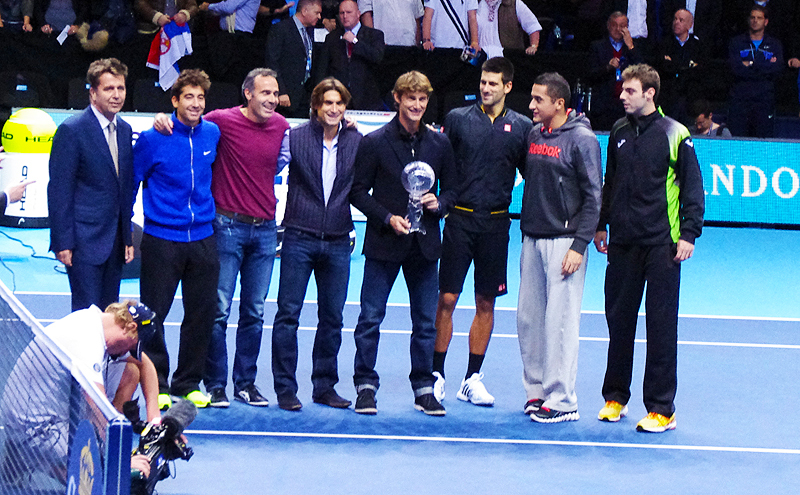 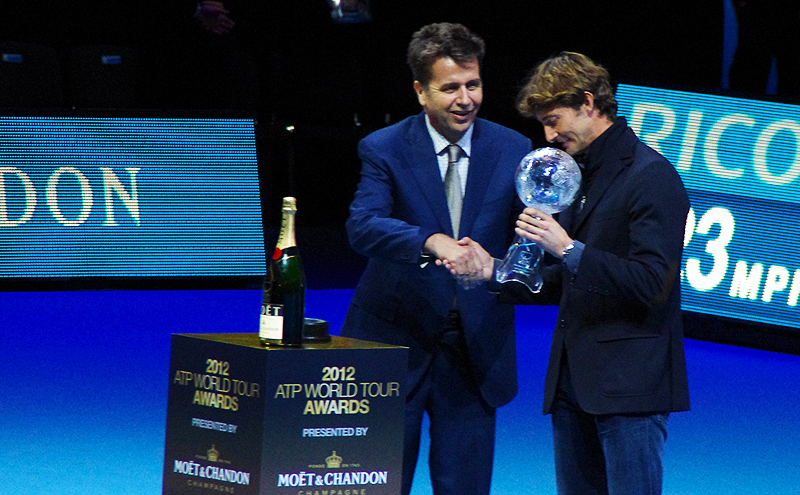 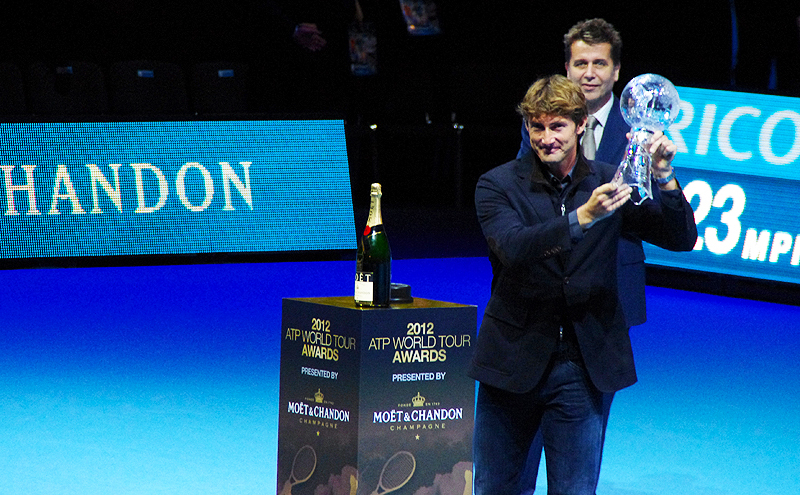 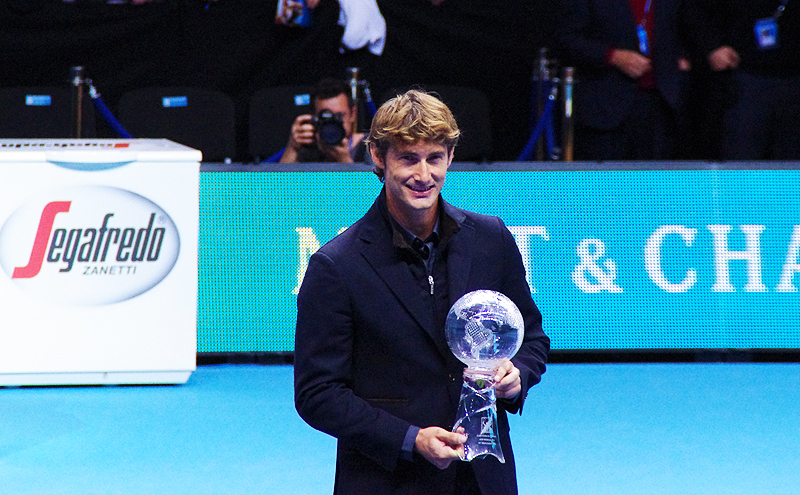 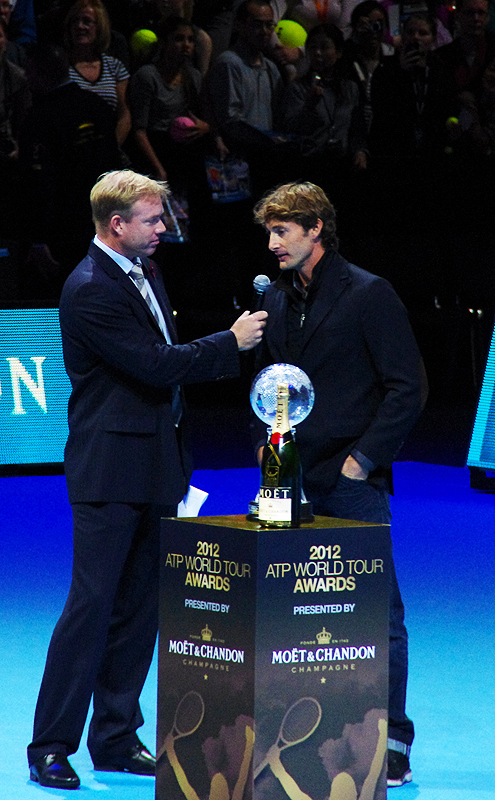 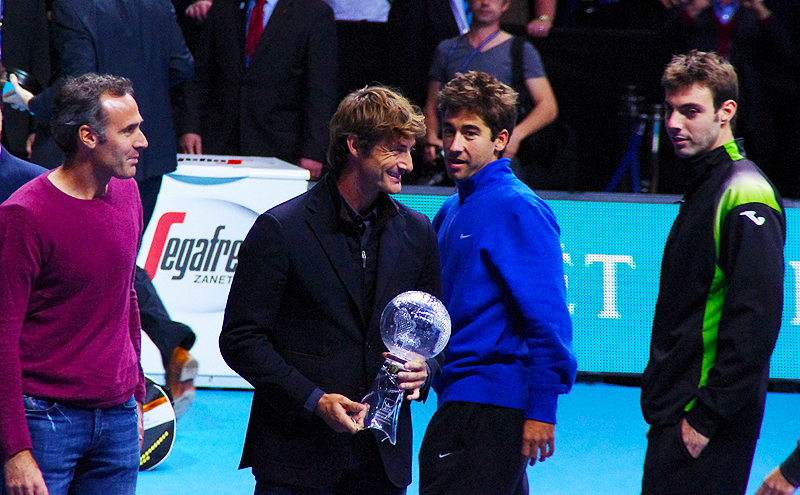 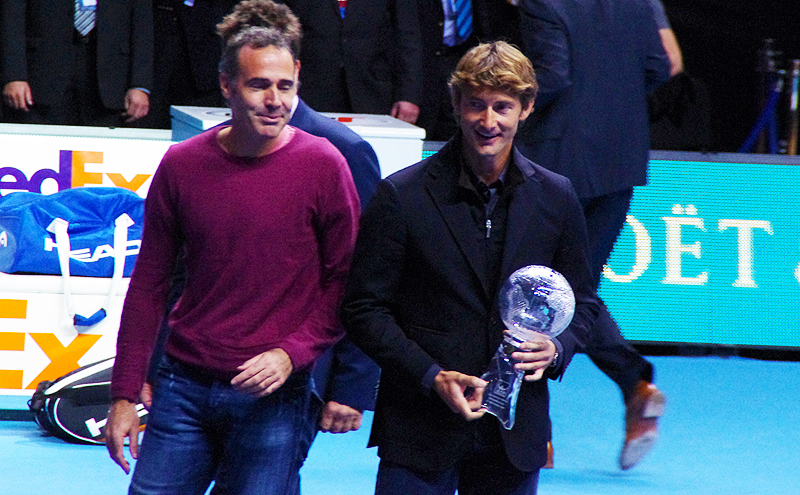 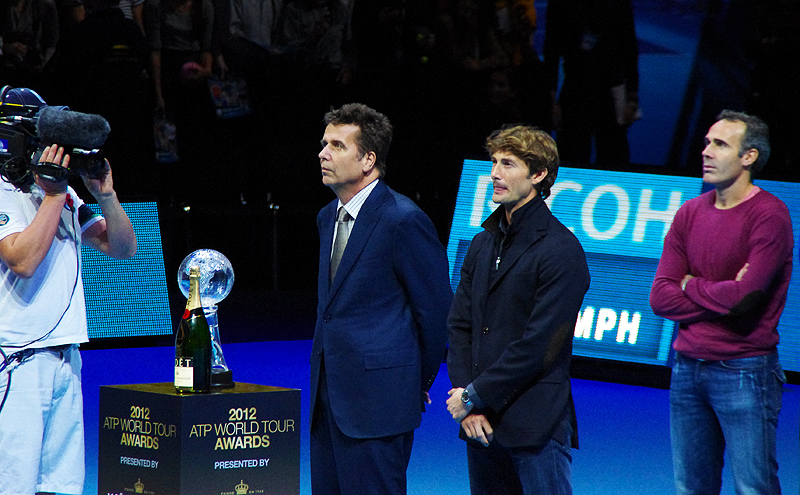 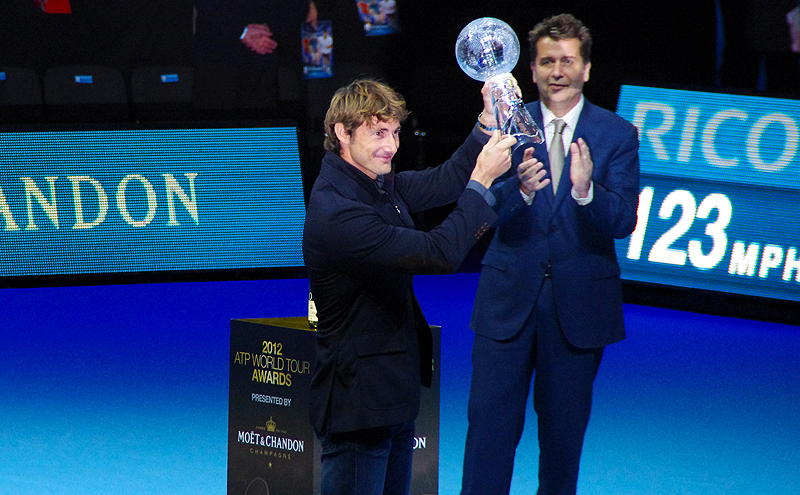 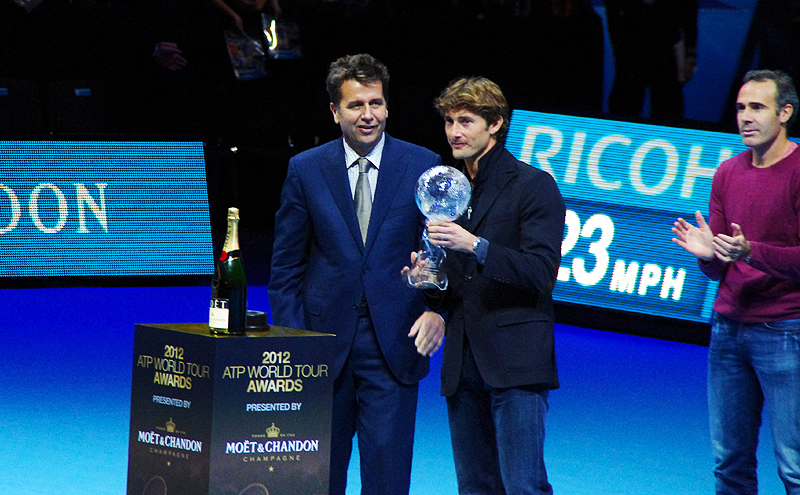 On November 9, the ATP held a special ceremony for JCF in recognition for his achievements. 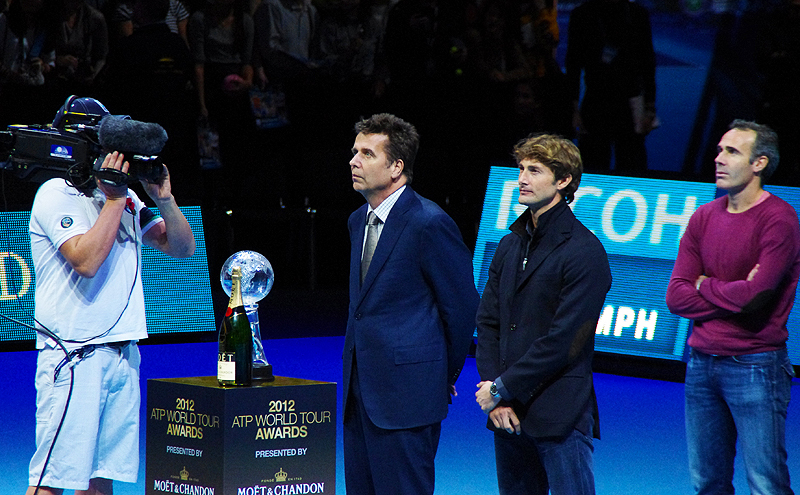 🙂 The ceremony was held after the Djokovic / Berdych match at the O2 Arena during the ATP World Tour Finals. 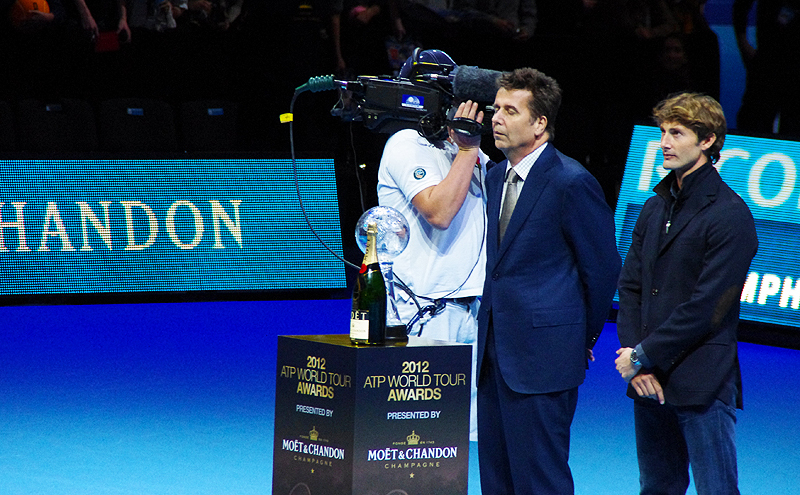 The ceremony wasn’t really ‘publicised’ beforehand, most people in the stadium didn’t know this was happening until they announced it after the match! 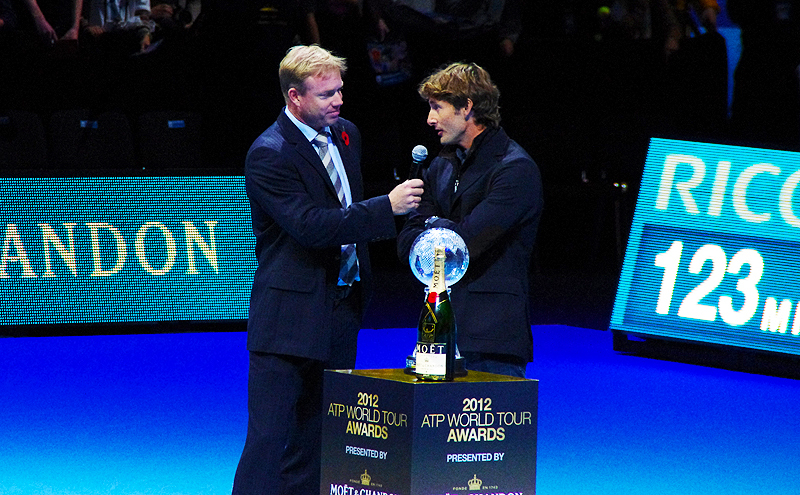 It was short and sweet – they played a short video with messages from Roger Federer, Andy Murray and Novak Djokovic (the same videos they played at the Valencia ceremony) – even with the Spanish subtitles LOL. 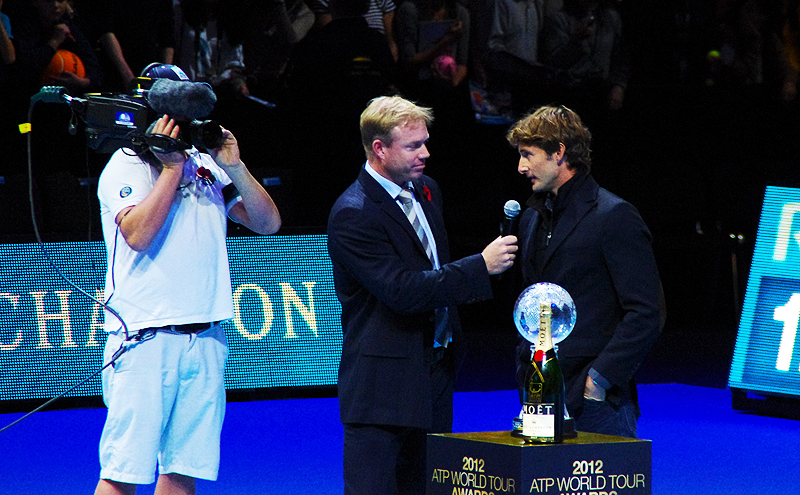 There was a short interview with JCF and a lot of photo taking… afterwards JCF pretty much hopped on the next flight back to Spain!